In This Album: David Wright, Troy Tulowitzki, Jonathon Niese, Wilin Rosario, Eric Young Jr. 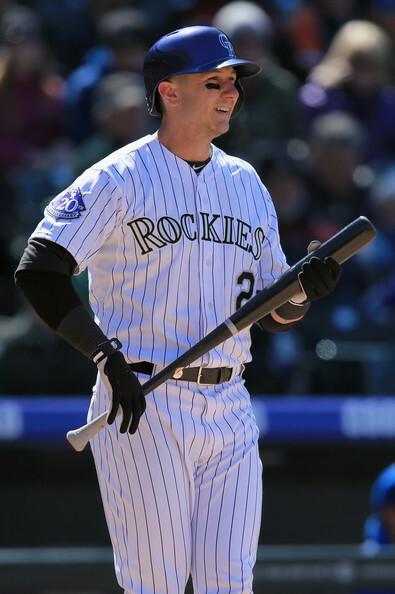 Troy Tulowitzki #2 of the Colorado Rockies pauses between pitches as he takes an at bat against the New York Mets at Coors Field on April 18, 2013 in Denver, Colorado. The Rockies defeated the Mets 11-3.